Dress your windows with a sophisticated Ski Lodge look by adding the Falsetto Drapes topped off with a Neiva Tab Top Valance. 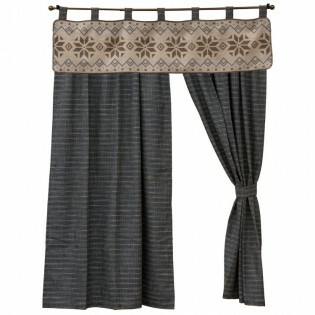 The pair of solid color drapes are made of a textured mini plaid with a rod pocket top. These draperies are a beautiful addition to any room in your home. 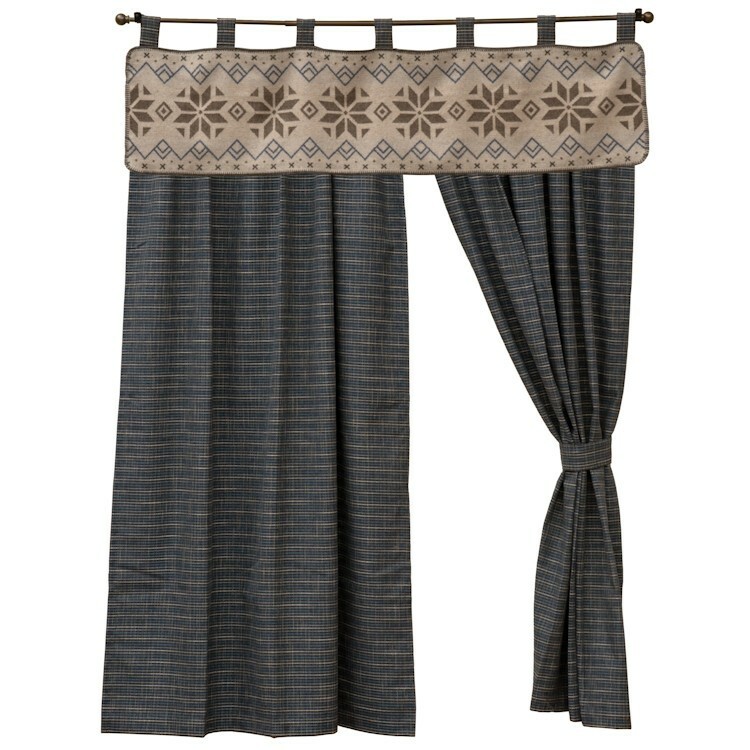 The Neiva Tab Top Valance features Scandinavian geometric snowflakes and mountains, with soft, solid colors and muted stripes. The calming blues and rich browns speak of a casual elegance.